Flat free tires allow for both indoor and outdoor use. Combo pack includes aluminum frame walker with 1 each flame red and flame blue steel cross brace. 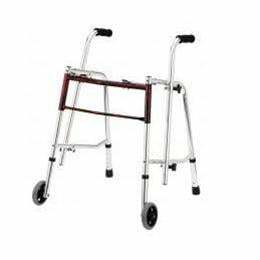 Adjustable handles and legs make this walker extremely versatile to accommodate virtually any physical requirements. Angle handle comes standard with .